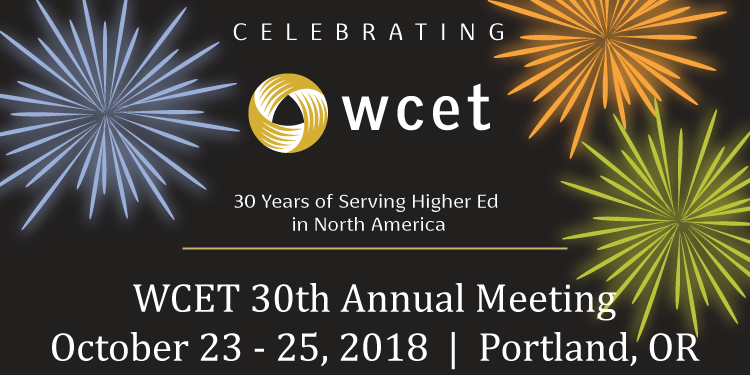 WCET’s 30th Anniversary Celebration and Annual Meeting will bring together higher education leaders and practitioners who are working to improve educational quality and access through the use of digital technology. Higher education leaders and practitioners from across North America and beyond attend the WCET Annual Meeting, the premiere edtech conference for the past 30 years. The program is a blend of formal presentations and informal discussions to foster idea exchange and networking. Interactive sessions featuring diverse perspectives are a hallmark of the WCET program. The Call for Proposals for this year's Annual Meeting closed May 7, 2018. The program will be live in mid-June. Proposals should address how the audience will be involved. Interactivity beyond a short Q&A session are highly favored by the review team. Presenters are encouraged to minimize the use of PowerPoint unless necessary. Sessions which include student perspectives are encouraged whether in person or virtual. The WCET audience represents leaders in higher education and technology who bring incredible insights and experiences, thus creating opportunities for meaningful dialogue. WCET members and non members are invited to submit and attend. Deadline for proposal submissions: May 7, Midnight MDT. Notifications sent out via email: late May. Emerging technologies: credentialing platforms, LMS integrations, evaluating edtech, artificial intelligence, virtual reality, etc. 30th Anniversary Topics: Edtech evolution over the past 30 years, how far we have come, where we are headed, advances, reflections, predictions, etc. faculty for 21st century teaching, next generation analytics for decision-making, purchasing decisions and insights. Evolving models: including CBE, OER, personalized learning, learning design, adaptive learning, alternative credentials, pilots, online program management and fee for service models, lessons learned, good practices, etc. Policies and regulations impacting students learning with technology: accreditation, ADA compliance, credit hour, financial aid, student identity verification, military students, state authorization. Please list your preference in the submission process. The review team will make the final determination of the ideal format for the session material submitted. Reviewers may re-work your proposal to combine it with another proposal on a related topic. WCET attendees find value in sessions which include multiple perspectives addressing a topic. Preconference Workshop: The preconference workshops are in-depth, half-day workshops that focus on an emerging issue, trend, or topic in technology-enhanced learning in higher education. The workshops provide attendees with the knowledge and tools they need to return to their institutions prepared to offer solutions or implement a new program. Workshops are required to include interactivity. 1-2 preconference workshops will be selected. Panel: A panel consists of a moderator and two to three speakers (max) making a single, cohesive presentation on the same topic. Speakers represent different institutions/organizations, expertise, or points of view. Student perspectives are encouraged. Solo Presentation: Solo presentations spotlight edtech subject matter experts and innovators on a specific topic. Facilitated Group Discussion: One or two individuals act as the discussion leaders. They give a brief introduction (max 15 minutes) of the topic or issue and then facilitate an informal discussion among the audience members. The topic can be controversial and/or have broad appeal that will elicit dialogue among the audience. Ideal for small groups. EdTech Meet-up Demos: One-on-one interaction using a table-top demonstration which provokes thoughtful discussion and fosters idea-sharing between attendees and presenters. The demos are tabletop displays and occur in conjunction with the morning and afternoon refreshment breaks and remain on display throughout one day of the conference. Edtech companies, colleges and universities, and other organizations are all invited to submit proposals for meet-up demos. The final number of meet-ups will be limited by space available. Unconference Session: Unconference topics are attendee-driven discussions facilitated by a leader. Tackling a challenge at your institution? Curious what others are doing related to a technology-enhanced learning topic? Unconference sessions are similar to engaging hallway conversations attendees find so valuable and could include roundtable discussions, 20 images x 20 second formats like Ignite presentations, or other. Other: Have a suggestion for a format not listed? Your suggestions are encouraged. Edtech companies and WCET Corporate Members are invited to submit proposals which include client perspectives as regular concurrent sessions listed above. 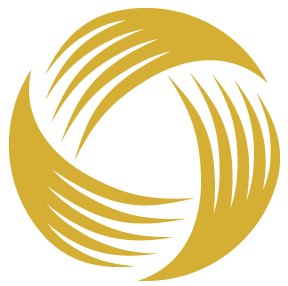 They will be reviewed with the same consideration of other submissions, provided they are not specifically a demo or direct marketing of the product or service. Sponsor session slots are provided to Leader level sponsors and higher and do not need to be submitted through the call for proposal system. The sponsor sessions are separate from the initial call for proposals. If you are interested in participating in a sponsor session please email staff for more information and view the benefits and opportunities. Login or create a new user profile. If you have previously submitted a proposal, enter your email address and click "forgot password." All passwords have been reset. If you have not previously submitted a proposal click "New User? Click Here." You will have the opportunity to enter co-presenters. Once you begin the proposal submission process, you can save and exit and return at a later time. Proposals must be submitted by May 7 at midnight MDT. Questions? Contact WCET.